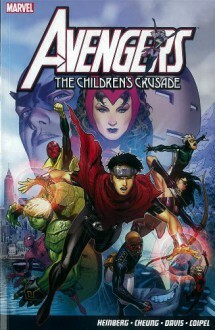 http://boyswithtattoos.booklikes.com RonReads 4.0 Book review: Allan Heinberg and Jim Cheung's "Avengers: The Children's Crusade"
text Book review: Allan Heinberg and Jim Cheung's "Avengers: The Children's Crusade"
Read in issues. ... Okay, that ending was approximately an order of magnitude suckier than the rest of the series. Maybe multiple orders of magnitude.